When it comes to your bedroom, it is important to feel cosy, relaxed and stress free. However, these natural feelings can be hard to achieve if your bedroom is full of clutter and despair. Our bedrooms can cause a headache from the moment you wake up on a morning, so why not start your day right with a care-free environment. 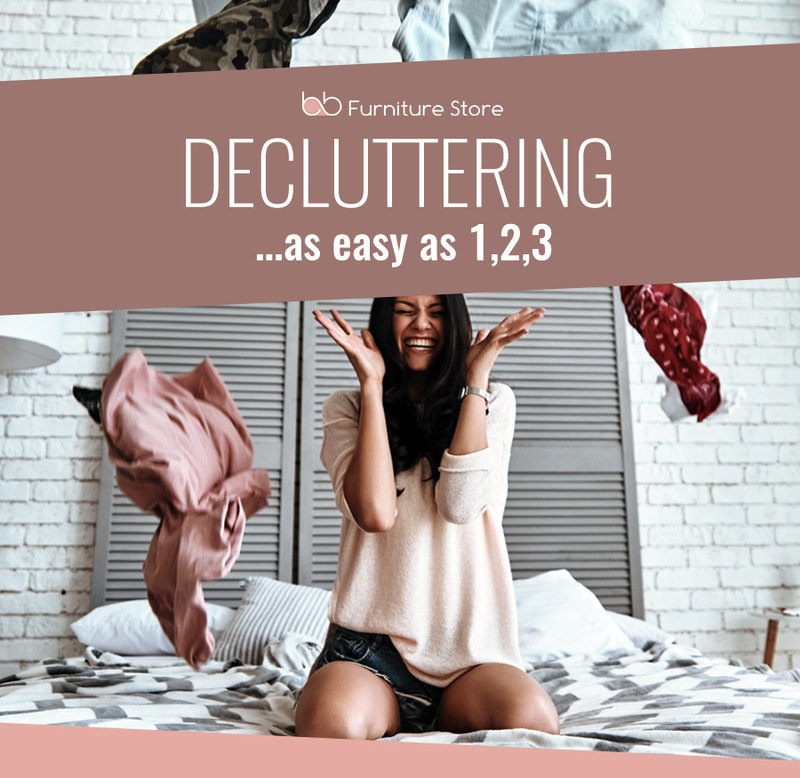 When it comes to clutter in your bedroom you can following these easy steps and transform the way you live each day. The first and most important step throughout this process is a full clear out. In order to put aside the things you most desire and require you will need to throw out the unnecessary item. Items that you have not used, looked at our even thought about in the past 6 months definitely need to go - if you can live that long without using it, then you can afford to get rid. Take a look in your wardrobe and clear out any clothes that you believe you will no longer wear - or have never worn. Once all of the clutter and rubbish is eliminated you can now go in for a deep clean, making sure you get under the bed, above the shelves and around the skirting boards. Organising your possessions should be completed in stages and bedroom furniture can help more than you think. When it comes to clothes, hang up your most worn clothes, i.e. work clothes and even fancy outfits - and put away your daily and not so fancy clothes in your chest of drawers. You can utilise your space more using luxurious upholstered beds with storage and even quirky items such as blanket boxes. Baskets can also help you organise smaller items such as make-up and hair products, anything that you can neatly set aside will make the room look more inviting and less cluttered. If you are trying to declutter your childrens bedroom and struggle when it comes to space, why not invest in a single bed with trundle, a trundle bed can make a huge difference when organising toys and games - you have the space for a double bed but with the convenience of making it a single. The finishing touches are also very important when it comes to decluttering your bedroom. Not only do the larger bedroom furniture items help reduce clutter and make your bedroom a place of relaxation but the smaller items are what ensures your personality comes through in the design. If you are into the shabby chic, boho vibe why not introduce some storage wall hangings, something as quirky as this can form as a genius storage facility. If you are into the more simplistic chic style, you could introduce some shelves on the wall, simply stack in 3 and add a lamp, a plant or a clock. Always make sure you have a large mirror as this can make the room more open, inviting and sometimes a lot bigger than it actually is. The choice is yours, so get decorating.